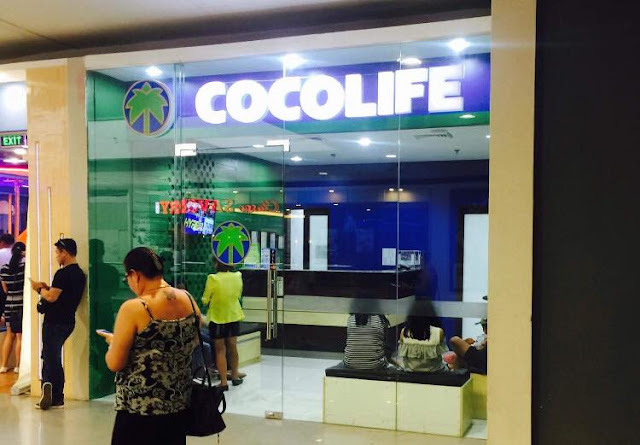 Subsequent to several complaints about alleged fraud, yet another incident involving the insurance company, Cocolife was reported by a student in Iloilo City. The Facebook page Library of Most Controversial Files on June 1, shared the experience of a student who while walking around in SM City of Iloilo, was defrauded by Cocolife employees into entering a contract with them. "Sa office, pinapirma daw siya ng documents ng mga agents ng COCOLIFE at tinanong kung may pera siya. Kapag wala kang pera ay tatanungin kung may ATM ka at pipilitin mag balance inquiry kasama sila," the post read. The student said he didn't know that what he was signing was already a policy plan. "Ang modus operandi daw ng mga manlolokong agent ng COCOLIFE na ito ay pipilitin kang hanapan ng pera, atm, o credit card," the post read. The victim said that he didn't know how to think clearly as he was already surrounded by the employees who urged him to sign the contract. When he realized his mistake, and tried to take it back, he was denied the chance. "Narealize nalang daw niya na hindi niya kailangan ang pinabayaran sa kanya ay huli na. Tinanong niya kung pwedeng icancel ang kanyang binayaran policy plan ngunit sinabi ng COCOLIFE Agents na pwedeng icancel pero hindi na daw pwedeng irefund." It can be recalled that last year, the insurance company was accused tof similar deception schemes. Based on the statements, the modus operandi of the agents of the company at a local mall will engage clients in conversation and entice their clients about hard to resist promos like free trips abroad, arrangements on house and lot, car and free raffle draw tickets which can only be availed of on that very same day. Complainants said agents will then inquire about credit cards, bank accounts and if assured the would-be-victim has the financial capacity, they are either informed they have a life insurance from Coco Life and have already swiped their credit card or ATM with an amount debited without the knowledge of the client. As a result of the reports last year, Cocolife said that they will look into the allegations directed towards their employees.